If you follow me on twitter, you might have stumbled upon my tweets about Sharp Objects. The HBO miniseries is arguably one of the best series I've watched in my entire life. It's dark, it's sad and it's completely messed up...in a good way. If you're looking for something from the author of Gone Girl and a series with a strong, overwhelming atmosphere and performances from its cast, I highly recommend you check this out. Struggling with alcoholism and recently discharged from a psychiatric hospital after a year history of self-harming, newspaper journalist Camille Preaker returns to her hometown of Wind Gap, Missouri to investigate the killings of two teenage girls, 13-year old Ann Nash and 14-year old Natalie Keene. Going back to Missouri means Camille has to live under her mother, Adora Crellin's roof, the town socialite who is extremely critical of everything she does, forcing Camille to confront her own demons. Let me start by saying that this is a very, very dark and slow-burn show. If you know Gillian Flynn, her content has always been about the pain and hurt of her characters, notably women. Now don't get me wrong, I've never read any of her books but based on the adaptations I've seen, I can tell you that Flynn's works are arguably intense. The same can be said about Sharp Objects. 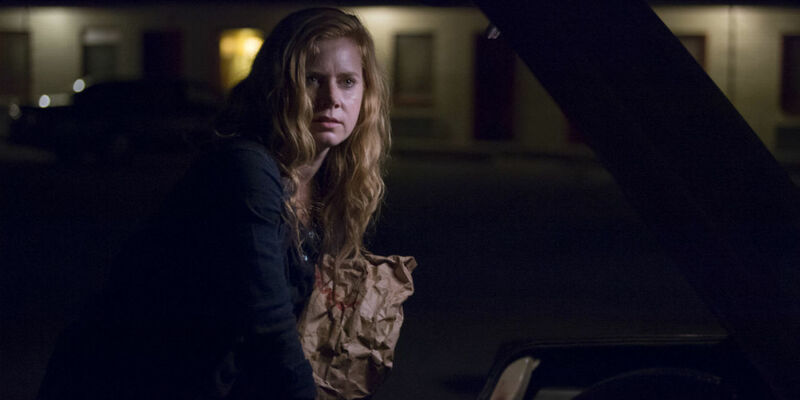 The slow-burn execution and amazing performances done by Amy Adams and Patricia Clarkson as Camille and Adora respectively were enough to drive me insane, in a good way of course. The show also brings newcomer Eliza Scanlen as Amma Crellin, Camille's younger sister who is very adored by their mother but is secretly hiding a dark secret behind Adora's back. The three woman each carry themselves in a very unique way, I would say. For instance, Adora as a mother is extremely frustrating to watch and it's easy for us to simply hate her for playing favoritism. What we fail to understand is that Adora herself may have been psychologically disturbed, which is something some people might have missed due to the show's subtlety. Subtlety is the double edged sword in this show — it understands its audience and the possibility of triggers hence the subtlety. I appreciate this because as seen in controversial shows (you know which one), shock value is not always the way to convey a message. The show handles such sensitive topics very well that it doesn't necessarily rely on graphic scenes to tell us that this is the story about a family of broken women and their respective demons. This is a story about a woman who clearly needs help but doesn't get the help she desperately needed, causing the venomous roots to spread and affect her daughters; a story about how mental illness breaks these women. Even though Amy Adams and Patricia Clarkson steal most of my attention, I have to praise Eliza Scanlen for portraying a sneaky, rebellious teenager who knows how to fake an appearance. I won't say that she outshines Amy Adams of course or that she managed to steal the show but her performance is one that you'd probably find haunting as well, especially when you finally see her true colour. If I have to sum up this show in just one word, I'd say it's a difficult show — or a 'fucked up one', whichever works best for you. I say difficult because not only it's intense for us as the audience, the characters are also intense for the actors portraying them. 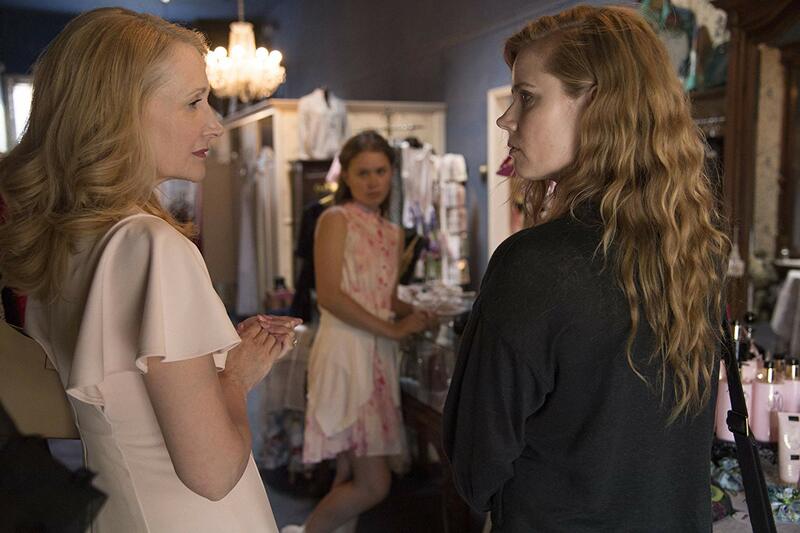 Amy Adams has said she "doesn't want to live in this character again" and Patricia Clarkson herself states that Adora is "a difficult character...but [she] can come at her with light." I can go on and on about how deep this show goes but I'd rather not bore you. All I have to say is that the next time Flynn publishes her book and there's a film adaptation to it, I don't think I can make a pass and not try it out. © lait et fraises. Design by FCD.